With low employment levels of accountants and below average accounting salaries, Wyoming does not stand out in terms of accounting schools either: there are under 10 schools offering accounting degree programs within the state. Options include certificates, associate degrees, Bachelor’s and Master’s degrees. The most notable school in the state is the University of Wyoming, offering a comprehensive undergraduate and graduate program including a Master of Science in Accounting. The school also boasts a first-time CPA exam pass rate with a Bachelor’s degree above average (68.3%). Without shining out in national rankings, Wyoming’s universities provide solid educational options for motivated prospective accountants. Every student’s goal is to leave school with knowledge, experience, a great network, an enviable resume and possibly a job offer in the mail. But how do you find out which schools can actually bring you closer to these goals? One important clue is accreditation and reputation. If you choose an AACSB-accredited school with a good standing in national rankings and award-winning faculty and graduates, you will maximize your chances of landing that Big Four dream job. Major recruiters tend to employ graduates of the best accounting programs – so don’t be afraid to apply for the very best! Another clue is the content of your future education both inside and outside the classroom. Look at CPA exam pass rates, graduate employment rates and student evaluations as a direct measure of the program’s effectiveness. Make sure you will have plenty of opportunities to gain experience through extra-curricular activities, internships and genuine real-world projects. And finally, don’t be afraid of challenge: the best programs are demanding, but they also give the best results. Patience and hard work are often cited as qualities of an accountant, and you’ll need both in your career: it takes both time and effort to become an accountant or CPA. However, if you’re comfortable with the language of business and finance, you’ll find that the rewards outweigh the efforts by far. 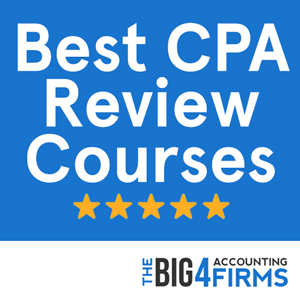 You will have to start by completing a Bachelor’s degree in an accounting-related field, but keep in mind that this is not enough if you’re aiming for CPA certification. CPA candidates have to complete coursework amounting to 150 credits, including a certain amount of accounting and business credits. Many students choose to complete them via a Bachelor’s and Master’s degree, for example through five-year integrated programs. Once you have completed most of your education, you will have to sit for the Uniform CPA Examination and pass all four sections with at least 75% before you can apply for a CPA license. You will also need to take an ethics examination as required by your state’s accountancy board. Finally, you will need a certain amount of accounting experience – usually one or two years – before you can work as a CPA in your state of choice. To sit for the CPA examination in Wyoming, you need to complete 150 semester hours of college education, including 24 hours in upper division accounting courses and 24 hours in business courses. Your qualifications must include at least a Bachelor’s degree and must be completed no later than 90 days after you take the first section of the CPA exam. In order to apply for a CPA license, you must also pass the Uniform CPA Examination, as well as a professional ethics examination. You will also need to demonstrate one year of experience verified by a licensed CPA and gained within the five years prior to your application. In 2013, Wyoming accountants earned on average $29.77 per hour and $61,920 per year respectively. While this salary falls below the national average, it is important to remember that accountants have a variety of choices in their career: certifications, experience and industry sector can all influence the pay of an accountant. This is why the highest paid 10% of Wyoming accountants earn $91,480 on average, while the lowest paid 10% earn $39,660. This huge gap is mirrored by the difference in pay between the Southwest and the Northwest of the state: while the former reports an annual wage close to $69,000, the latter only reports about $60,500. The public, two-year Casper College in Casper, Wyoming offers an Associate of Business degree in accounting that allows students to start an accounting career. The degree can be considered equivalent to half of a Bachelor’s program when transferring to a four-year program, so it can be a good start if your goal is to eventually become an accountant or CPA. The Associate of Business Degree covers fundamental topics such as principles of accounting, intermediate accounting, economics, management, marketing, statistics, business law and is designed for students who wish to progress to full degrees. Casper College also offers Associate of Applied Science degrees in Career Accounting and Paraprofessional Accounting, as well as Certificates in Career Accounting and Professional Bookkeeper. These degrees suit students wishing to work in a variety of accounting-related professions or to set up their own accounting practice. Casper College offers a solid educational foundation allowing students to work in entry-level positions or continue their studies at a more advanced level. The University of Wyoming is rated as the 161st in the country overall by U.S. News and offers high-quality, fully accredited accounting degree programs at both the undergraduate and graduate levels. The 120-credit Bachelor of Science in Accounting provides students with a broad-based education and covers essential accounting topics such as taxation, auditing, intermediate accounting, ethics and information systems. Non-accounting electives allow students to specialize in a second area of interest in order to stand out in the job market. Students pursuing the Master of Science in Accounting program can qualify for CPA certification. The curriculum is delivered through in-depth lectures and seminars including advanced accounting, auditing and taxation, fraud examination, international accounting and information systems. The University of Wyoming also provides students with a rich campus life with opportunities for extra-curricular experience. 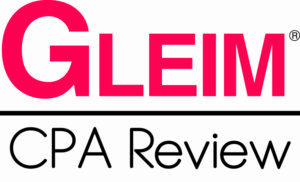 Student organizations such as Beta Alpha Psi and the Institute of Management Accountants often gain recognition as some of the best on campus.